As I did some photo shooting the other day, I’ll share some of them here. I love your studio and would love to work in it. Where did you buy your table clamps from? 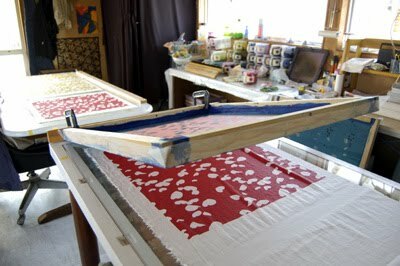 Those clamps are from a local home centre and they are not really for screen printing. The professional ones are more compact and well designed but cost like £40 for a pair. It seems too expensive to me. It looks as though you are as busy as ever! I am going to feature your designs on my blog as I love your work! Thank you Angie, it's really nice to know that people like my studio :) I have to keep up…! 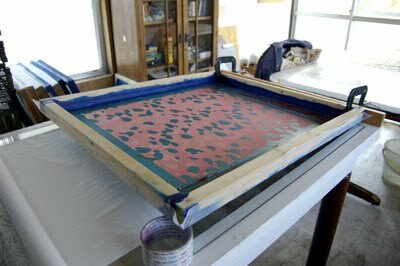 Thanks Hitomi I must try and find some clamps for printing screens at home. 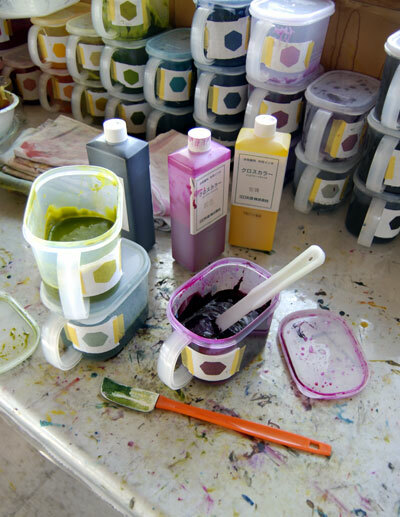 I'm so jealous, i would love to work in such a lovely studio! that print on the screen looks great, is that up here on the blog? would love to know what you think of my work, im still learning! Anyway, now I'm following your blog and I love it, I find it VERY inspiring! Your sketchbook makse me feel that I have to work harder on my sketches/experiments! Could I possibly feature your work on my blog?? Great to see your studio in action. Thanks for sharing Hitomi.